Choosing the right home health care agency for yourself or loved one can seem like a daunting task. Which company is really going to provide the best service? Which one will give the best value for the cost? Which one can you trust to treat your loved ones with respect, compassion and sensitivity? These are critical questions that must be answered by anyone looking to hire help for home care. 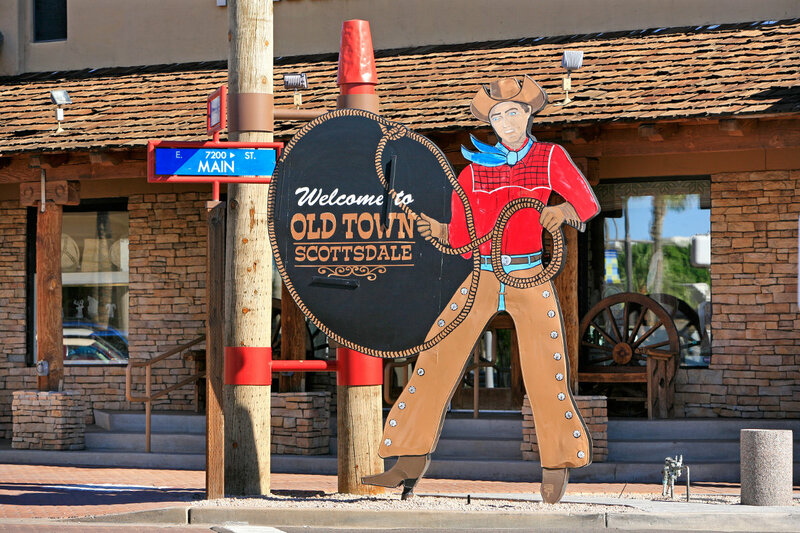 While Scottsdale happens to be filled with many service providers, that also means it can be harder to narrow down a short list. To make things easier for you, we’ve done the legwork of curating the nine best home health care agencies in the region. These companies have a long track record in the community and each has its own set of strengths that sets it apart from the others. We hope this list can serve as a starting point for your search and relieve some of the stress that comes with making this kind of decision. The agencies listed are not ranked in a particular order, and if we’ve forgotten a qualified and locally-owned agency that you believe we should note, please let us know. We are more than happy to add them! 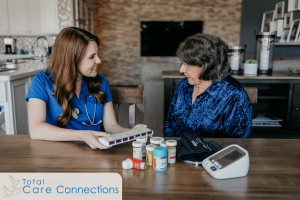 Total Care Connections– When it comes to providing home health care, Total Care Connections is dedicated to offering exceptional service to every patient and family member serving as a point of contact. Our award-winning* company has been in business for nearly a decade and we continue to evolve to ensure our patients are always receiving world-class care. We’re passionate about our business and understand what it takes to truly be the best at what we do. At Total Care Connections we employ a full staff of Certified Caregivers and Nursing Assistants who will work with you to create a one-of-a-kind care plan that best meets your needs. Our clients’ care is overseen by our director of nursing, a Nurse Practitioner, and our staff undergoes monthly background checks. We provide regular training to stay ahead of the curve and better anticipate our patient’s needs. Whether it’s a companionship visit or help grocery shopping; assistance with eating or bathing, or even light house cleaning, our staff is there for you when you need us the most. All of our clients can log in to our “family portal” online, which allows family members to view scheduling and billing information regarding the care being provided.Total Care Connections is committed to helping you create a better quality of life and we offer a free evaluation at your home or residence if that’s what’s most convenient for you. We believe in transparency and do whatever it takes to make sure you know you’re in good hands. Valley of the Sun Home Care– This locally-owned and operated agency provides non-medical home care services for seniors to help them maintain a high quality of life and sense of pride. The Valley of the Sun Home Care’s staff strives to provide reliable personal and companion care to clients and to help them remain living independently in their own homes (or retirement community, assisted living facility or a hospital/rehabilitation center, etc.). Their staff is adept at providing care in a variety of settings for many different needs. SeniorBridge– SeniorBridge Scottsdale is one of the leading care management and home health care providers in the area. They are a part of a larger network provider servicing clients in 14 states. SeniorBridge focuses on improving the quality of life of adults with complex medical and social needs by partnering with families and employing a diverse staff that includes clinical professionals, caregivers, and senior companions. The SeniorBridge team members are a highly qualified group of professionals that provide care where people are most comfortable – in their homes. In Home Care Alliance– Serving several cities in Arizona, In Home Care Alliance’s Scottsdale location offers a wide range of services to clients in need. They are a proud member of the Arizona Non-Medical Home Care Association (AZNHA) and offer personalized care for seniors and adults. In Home Care Alliance services are available seven days a week and can range from a couple of hours a day to 24/7 live-in care. They offer a variety of solutions for seniors and other adults in need who aren’t ready to leave their homes for institutional settings. I Need an Angel– Also a member of AZHNA, I Need an Angel provides care services in homes, hospitals and other rehabilitative facilities. Their focus is on reducing anxiety while creating creative solutions to support client needs and increase their independence and sense of well-being. The I Need an Angel staff acts as your advocate and is committed to being there for you when you need them—24/7. They offer personalized service that ranges from hygiene and mobility to errands and companionship. Hyde Park Home Health Care– Founded by Polly Morris, a master Social Worker with specialization in Gerontology, Hyde Park Home Health Care provides high quality, custom care to seniors. While many health care companies are franchises without deep roots in their local communities, Polly (and her husband Randy Nussbaum) have lived in Scottsdale for more than 40 years. They understand the unique needs of seniors trying to remain independent through personal experience with their parents and grandparents. The Hyde Park team is made up of vetted and highly trained professionals who work hard to make sure their clients remain in their own homes where safety and comfort are paramount. Home with Help– This agency provides comprehensive, non-medical companionship and personal care services in Greater Scottsdale, AZ. Their staff provides help to seniors and those recovering from injury and even new moms who are at home after delivery. Home with Help lives by their name and aims to provide the most meaningful and ethical care possible. Their agency is bonded, insured and provides a free/no cost written assessment to prospective clients. Compassionate Assistance– With over 30 years’ experience, this family owned and operated agency has a long-standing legacy in the community. Their Care Managers are on-call 24/7 for clients and their families. Compassionate Assistance is a non-medical home care provider dedicated to offering the highest quality personal care to their clients. Their services are not attached to long-term contracts and their staff undergoes a 50-state background check, pre-employment drug screening, CPR & First Aid Certification and more. Care with Confidence– Care with Confidence is there for those difficult times when you need help caring for those you love. They understand that it is a difficult choice to put someone in need of care in a facility rather than allowing them to remain comfortably in their home and offer round-the-clock assistance to those families seeking at-home care services. Care with Confidence prides themselves on giving their clients back a sense of independence by being there to help them with normal activities such as bathing and getting dressed. They help their clients feel as though they have a personal health care concierge service—from taking them to the barbershop to simply writing a greeting cards to their grandchildren and even reminding them to take their medications.